Tropical Cyclones sometimes reform after the become remnant low pressure areas, but it's not all that common. 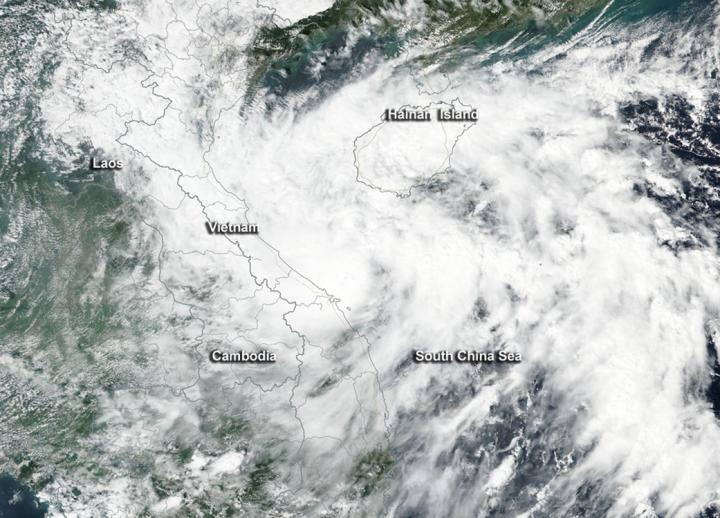 When NASA-NOAA's Suomi NPP satellite flew over the South China Sea, it captured an image of reborn tropical cyclone Aere and the "Zombie storm" is headed for landfall in central Vietnam. On Oct. 13 at the Visible Infrared Imaging Radiometer Suite (VIIRS) instrument aboard NASA-NOAA's Suomi NPP satellite captured a visible image of the storm that showed the center just east of Vietnam. Thunderstorms were flaring to the east and west of the center. Bands of thunderstorms extended east of the center and into the South China Sea including Hainan Island, China. On Oct. 13 at 5 a.m. EDT (0900 UTC) Aere had maximum sustained winds near 28/7 mph (25 knots/46.3 kph). It was centered just 54 nautical miles northeast of Da Nang, Vietnam near 16.6 degrees north latitude and 108.6 degrees east longitude. Aere was moving to the west at 14 knots. Aere is expected to make landfall north of Hue, Vietnam later on Oct. 13 and move west over Laos and Thailand. Once it makes landfall it is again expected to weaken and "die" yet again into a remnant low pressure area.